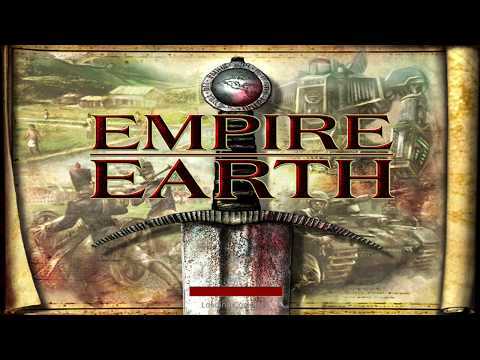 This WSI file will create a Wrapper and install Empire Earth Gold into that Wrapper. The GOG.com version is tested and DRM free. When you don’t own the Windows game yet, then the WSI file will supply you the link to the game page where you can purchase this Windows game. Make sure you download the setup file into your download folder first. The click “Install” to create the game Wrapper. For questions and help check the Help/FAQ tab in the Porting Kit. Make sure you download the "offline backup setup files" into your download folder from your GOG.com Library before you install the game (Not the Blue Download button which is GOG galaxy). Then click install. Control the destiny of a fledgling civilization through as many as 500,000 years of human history. From meagre beginnings you must exploit the natural resources around you to build an empire capable of dominating the Earth. But your rise to supremacy will not go unchallenged. As was the case throughout history, rival civilizations are certain to oppose you every step of the way. 1. When loading the first campaign, a popup for incoming connections may appear, “cmd” + “tab” out of the game, accept it (is needed for the game to play multiplayer), and quit the game with “cmd”+ “alt” + “esc” and then run the game again. Its a single time only action. 2. When you run into “mouse drag” if you see that in the game, go to video settings switch Direct3D or Direct3D Hardware TnL to the other one.